The late Tennessee Williams’s Clothes for a Summer Hotel made its New York debut in 1980. Here Scott and Zelda Fitzgerald, often seen as symbols of the doomed youth of the jazz age, become two halves of a single creative psyche, each part alternately feeding and then devouring the other. 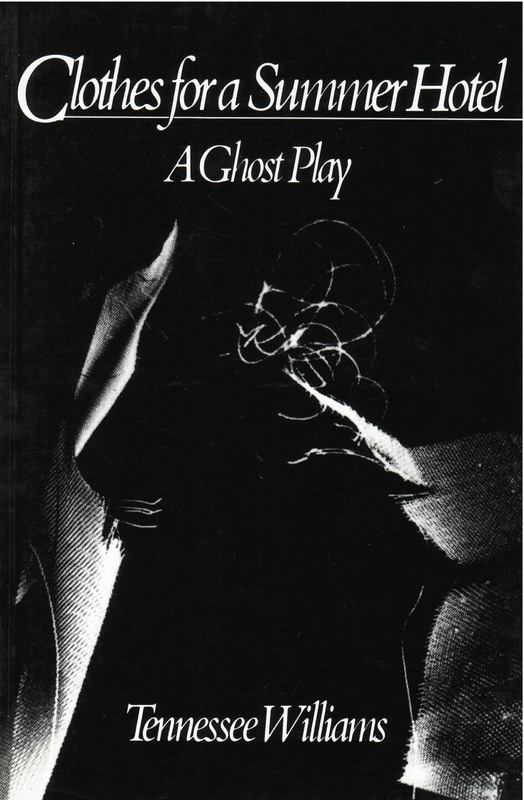 Set in Highland Hospital near Asheville, North Carolina, where Zelda spent her last confinement, this “ghost play” begins several years after Scott’s death of a heart attack in California. But the past is “still always present” in Zelda, and Williams’s constant shifting of chronology and mixing of remembrance with ghostly re-enactment suggest that our real intimacy is with the shadow characters of our own minds. As Williams said in the Author’s Note to the Broadway production: “Our reason for taking extraordinary license with time and place is that in an asylum and on its grounds liberties of this kind are quite prevalent: and also these liberties allow us to explore in more depth what we believe is truth of character.” Williams poses the inevitable, unanswerable questions: Did Scott prevent Zelda from achieving an independent creativity? Did Zelda’s demands force Scott to squander his talents and turn to alcohol? Whose betrayal––emotional, creative, sexual––destroyed the other? But he poses these questions in a new way: in the act of creation, Zelda and Scott are now aware of their eventual destruction, and the creative fire that consumed two artists combines symbolically with the fire that ended Zelda’s life.